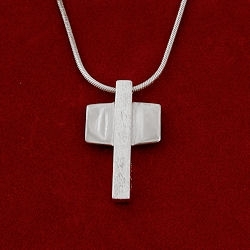 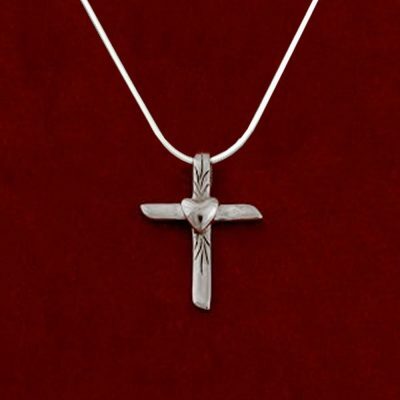 This special sterling silver cross design features feathery angel wings with a high polished cross. 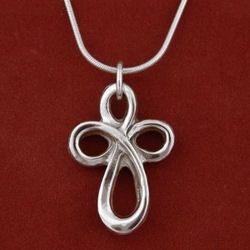 Available with choice of a sterling 16″, 18″, or 20″ inch chain with lobster clasp. 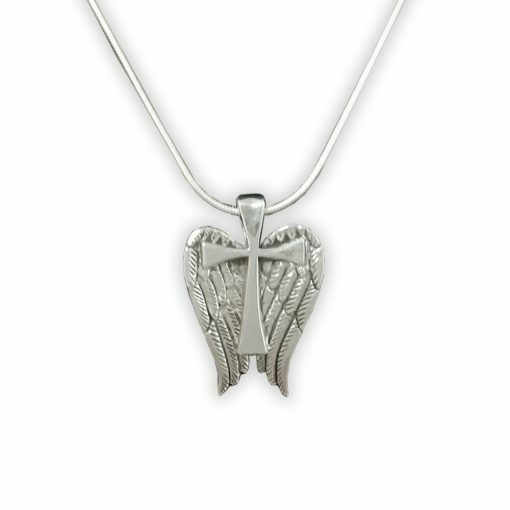 The wings measure 3/4″ wide and 1″ long. The perfect gift for anyone who loves angels.